On 1st November 2017 our branch office in Luxembourg launched new shipping routes with services from UPS and Luxembourg Post for customers in all EU member states plus Norway and Switzerland. We are an international mail order retailer of sporting archery equipment, a distributor for selected product lines, a manufacturer of archery accessories including Kurly Vanes and an international event promoter. 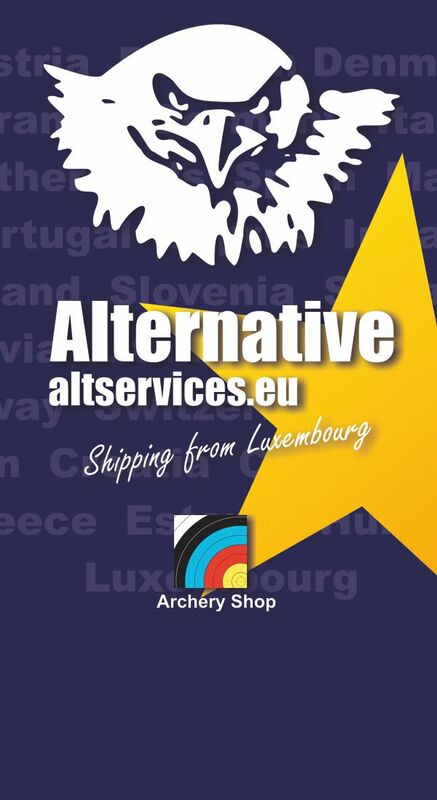 From our bases in the UK and Luxembourg, we sell over 3000 product lines from over 130 brands direct to archers and archery stores in over 150 countries world wide. All of the major brands including Hoyt, Easton, PSE and W&W are promoted alongside many smaller brands. In addition, we manage and promote the Pro Archery Series, taking the sport to the next level featuring the world's best archers competing on the world's toughest courses including Mullenborn (Germany), Esch-sur-Alzette (Luxembourg), Fort van Lier (Belgium) our very own Dan-y-Darren venue in South Wales, a former limestone quarry, now maintained as a wildlife site that is transformed once a year into the spectacular "Beneath The Edge" field archery course.